Planting grass seed is not a difficult process. With basic garden tools, you can prepare your soil so that a higher percentage of seeds germinate. You likely already have many hand gardening tools. If you do not have some of these tools, you may be able to rent them from a garden center or other equipment rental company. Shovels and hoes are basic tools to prepare your soil for seeding. If the area you want to seed has weeds, dig up the weed and roots by using a shovel. In most cases, digging up weeds is better than using an herbicide to kill the weed. Herbicides sometimes can prevent nearby grass seeds from germinating and sprouting. The shovel can also be useful in breaking up the soil down to a depth of around 4 inches, the recommended tilling depth for grass planting. The how is useful for breaking up larger clods of earth after your basic shovel tilling. Two types of rakes work well for breaking up clods further and smoothing the surface for seed planting. A bow rake is a heavy steel rake with tines that do not bend. A bow rake is a good rake for breaking up smaller clumps and clods and for initial smoothing of the planting surface. By turning the rake over, you can further smooth the surface of the soil when preparing it for seed. You have several options for spreading grass seed. Although hand spreading is possible, it is difficult to get even seed spread on your newly prepared soil. 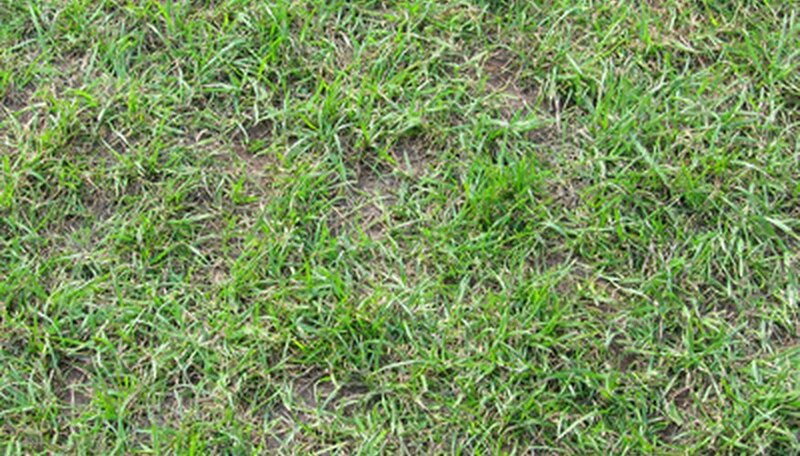 Uneven seed spread can result in thick and thin patches in your new lawn. The simplest, cheapest type of seed spreader is a hand seed spreader. Hand seed spreaders have a hopper to hold the seed and an adjustable seed flow. You release the seeds by turning a crank on the side of the seeds spreader. Another type of spreader is more like a small, lightweight wheelbarrow. Like hand spreaders, you can adjust the flow rate to suit the kind of seed you are planting and your local growing requirements. A push spreader, however, releases seed evenly as the wheels turn. For seeding larger areas, you might choose a towable seed spreader that attaches to your garden tractor.